Stories communicate ideas in a meaningful way. How does the way we tell a story reflect our cultural identity? Rubrics can be teacher generated, or generated together with students or can be a rubric that you use already for oral presentations. Please see Learning plan for more details. Teacher developed rubric for performance task including oral and cultural components. Rubric: Create a rubric which evaluates both French oral language skills and the cultural message in the story. Reflective process should also be used. “La famille, c’est special “ Echos 2 literacy book. What aspects of the unit went well? 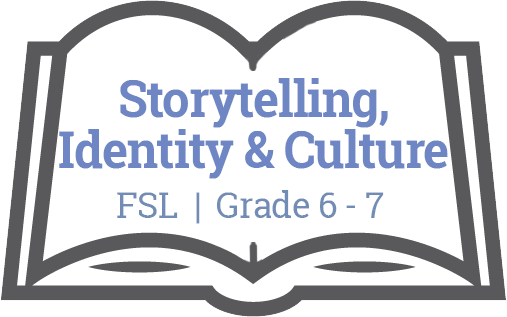 This unit with provide students with the opportunity to explore a First Nations story and create their own using basic French vocabulary suitable to their grade level. Students will explore First Nations culture as well as their own cultural identity.